If your device changes between its inputs by toggling or cycling through a list, then it's important that Harmony has a proper understanding of each input so it may toggle through them correctly. One of the radio button options will already be selected, leave this untouched and press Next until you see the list of inputs. The list on the left should reflect the inputs on your device, and in the correct order. Drag-and-drop an input to change its order. Drag-and-drop an input into the trash bin to remove it. 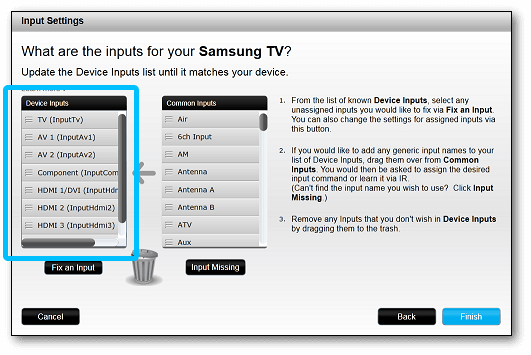 Common inputs are listed to the right, or select Input Missing to add a new input command yourself. 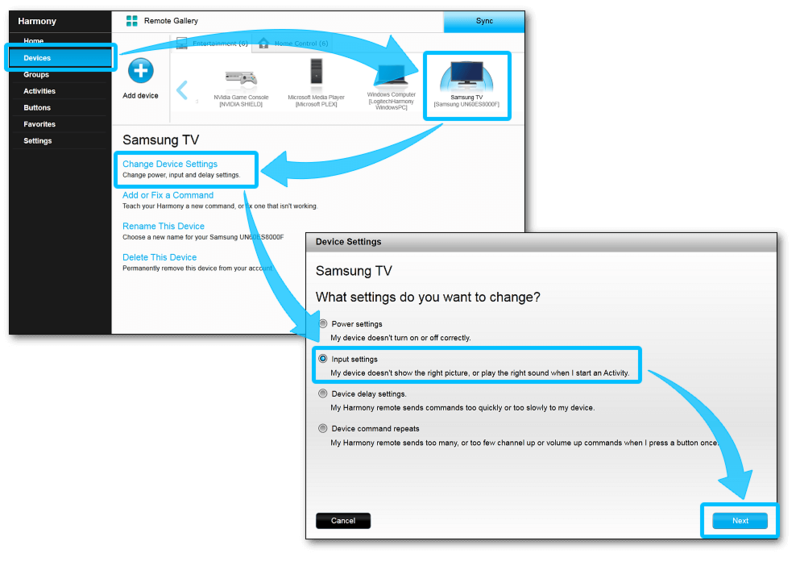 Click on Finish and remember to sync your remote whenever making changes.